In 1954, RCA launched the first color TV set. Sporting a 12-inch screen, it cost today’s equivalent of $8,000. Today, $8,000 will buy you a 70″ 4K Ultra HD TV with a six-speaker audio system, while Amazon has new 12″ colour portables for under $100. However no amount of money will make up for the problem that watching television is largely a complete waste of time, time which could be better spent listening to your record collection. However a decent collection of 1,000 vintage records, possibly including some records dating back as far as 1954, will cost today in the region of $50,000 and a high-end vinyl system on which to play them, as much again. This demonstrates conclusively that while the cost of home entertainment technology has fallen dramatically, the cost of owning any content worth attending to has risen by considerably more. Or that you can prove anything with numbers. Which, I’m not sure. Roy Haynes is great, and the young Barney Wilen equally so. One of the earliest recordings of both, recorded in Paris, it has a cachet in place and time that is hard to beat, even if recorded with earlier generation equipment, it still has a sense of presence. Wilen is caught here a couple of years before Miles Davis drafted him in for his European Tour and the Lift to the Scaffold jazz film score. The other artists are unfamiliar to me, but the whole ensemble swings. The cover captures Haynes concentrating on that swing. His hands are on the snare but he’s not looking at them. He doesn’t need to, because the propulsion comes from within. No musician needs to look at the instrument. Musical instruments are extensions of the body. The saxophone is breath turned into voice. The piano extends the fingers, the bass is the feet in which the music walks, and the drums are the living pulse. Put them together, music is human form, in sound. Good music, that is. OK LJC, if you’re so smart, which body-part is the electric guitar? You mean as in rock ‘n’ roll? Rather proves my point. Vinyl: Vogue LDE 130 10″ UK release, pressed by Decca. As a rule I don’t do 10″ – life’s complicated enough collecting 12″ LPs. Opening the door to 10″ drags you back in time to poorer recording technology, greater vinyl damage from Frankenstein record players with a worn stylus, and a scarcity premium not necessarily worth paying for. That is the way I saw it but as a fan of both Roy Haynes and Barney Wilen, this incredibly rare 10″ was an irresistible attraction. The seller warned the condition was not great, and that turned out an understatement. Scuffed and scratched, the level of surface noise is at the limits of the tolerable. It was still fairly expensive, due to many bidders, and with hindsight I should have passed it up, but you don’t always make the right choices at the time. If I think of it as a retro sound track, in which clicks are part of the period charm, it works quite well. It is also a good test of the way some system components are more tolerant of vinyl surface imperfections, whilst others give them greater prominence. The music should ride on top and any surface damage sounds are just in passing. It certainly seems to work that way, as it sounds a whole lot more acceptable on the big system, with its tenatious grip on the groove, than on the more flimsy USB turntable. Thanks for a marvelous posting! I actually enjoyed reading it, you can be a great author.I will always bookmark your blog and will come back in the foreseeable future. No no really, thanks, it’s nothing. Well, not completely nothing…quite a bit actually…lots, and some. Shame it’s just spam, around thirty of these a day, some days fifty, mostly jammed with online pharmacy hyperlinks. 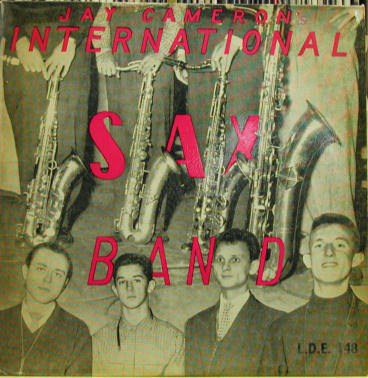 This entry was posted in Barney Wilen, Roy Haynes, Vogue and tagged Barney Wilen, Henri Renaud, Jay Cameron, Jimmy Gourley, Joe Benjamin, Roy Haynes, Vogue by LondonJazzCollector. Bookmark the permalink. The cover is great, and the first audio sample is phenomenal (though would be better in mono HINT HINT 😉 As for collecting 10″s in general, I don’t have any, but it makes sense that the “record players” in the 10″ era (before “hi-fi”) were much more likely to do permanent damage to vinyl. I do, however, enjoy that “smokey” sound of early 50’s recordings, which I believe mostly results from the limited frequency response of the tape and *maybe* the microphones. I was reading an RVG interview the other day where he said this lack in fidelity in the early 50’s was due to the limitations of early tape machines. I thought the Vinyl was quite OK sounding after the circumstances. No repetetive scratches. I confess, the choice of track was highly selective. As punishment, I will add a more representative track in addition. The noise is not that bad. The excellence of the music more than makes up for the surface noise. FYI, Henri Renaud played on many of tracks from the Clifford Brown in Paris “Lionel Hampton doesn’t know we’ve all sneaked out of the hotel” records. The actual sound quality is so good that I can’t help thinking that a good RCM would achieve a huge improvement in terms of the rice crispies, as would a mono cartridge as already metioned. Thanks for posting this. There is a copy on ebay right now, but with a very vague description of the condition and a start bid of 40 euros I’m not really tempted, although I share your love for Barney Wilen and would really like to own a copy of this. On US EBay there are two Japanese pressings of this album, in 10″ format. One for a “buy it now” price of $ 199. The one for 40 euros must be on the French site then. It was on the French site indeed. It sold for 40 euros. 10″ can be a pain in the proverbial, needing accessories on my Moth RCM, but well worth the effort. Mono cartridges of appropriate gauge, and a phonostage with a selection of EQ curves (RIAA is probably not appropriate for 1954 Vogue) will also be hugely effective. 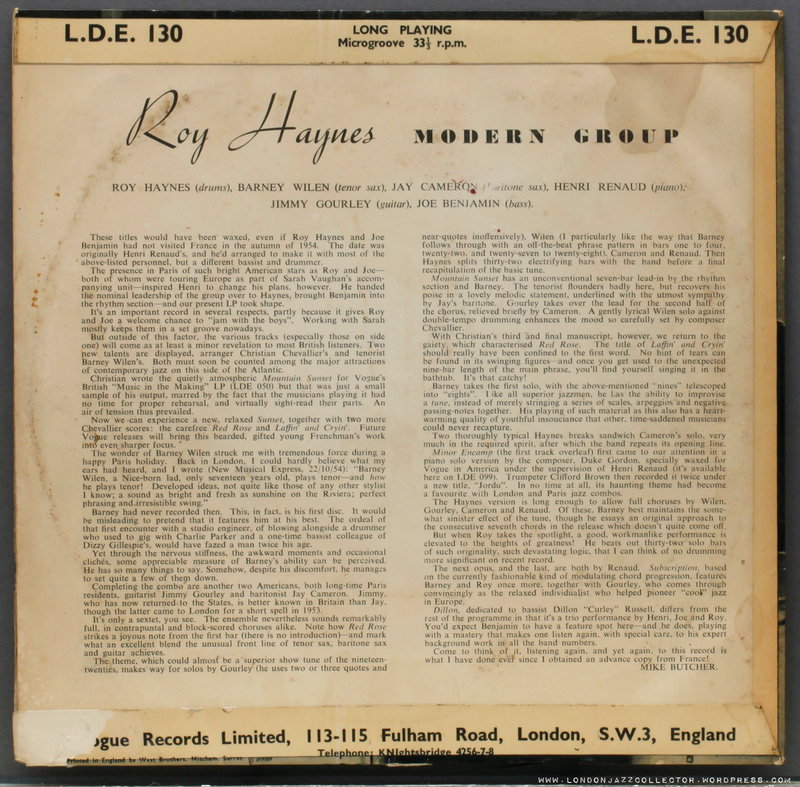 See recent correspondence in Hi-fi World involving George Hulme – who has a collection of pristine transcription discs – and Hayden Boardman. See GSP (Graham Slee) website for very good, reasonably priced phonostages with selectable EQ, or if you are better off than I am, AR or (very much better off than I am) Zanden. 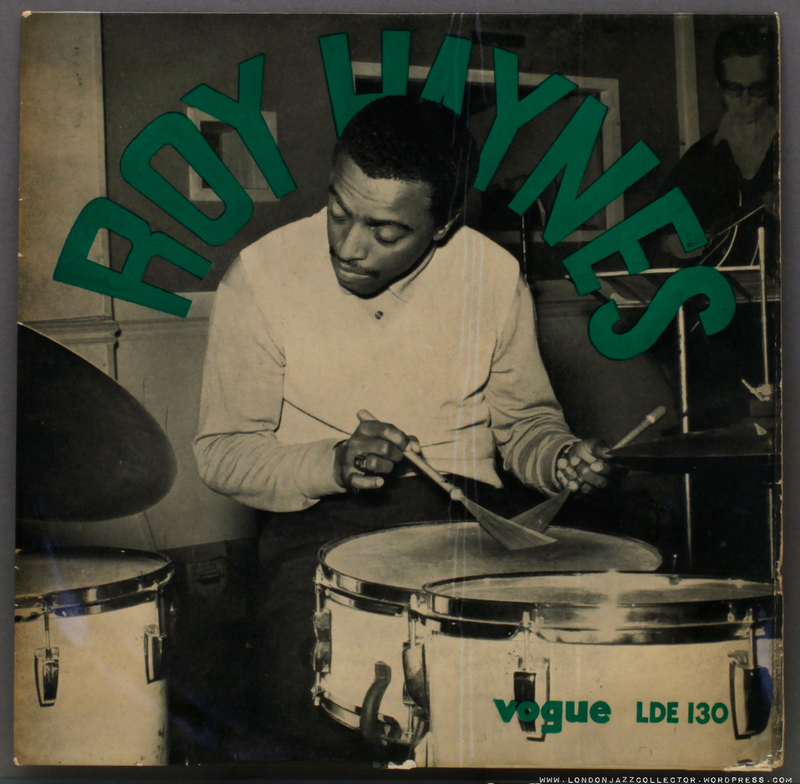 The great Roy Haynes. Still playing and very probably our last active link with Charlie Parker. Oh by the way – this is a beauuuuuuuuutiful record.